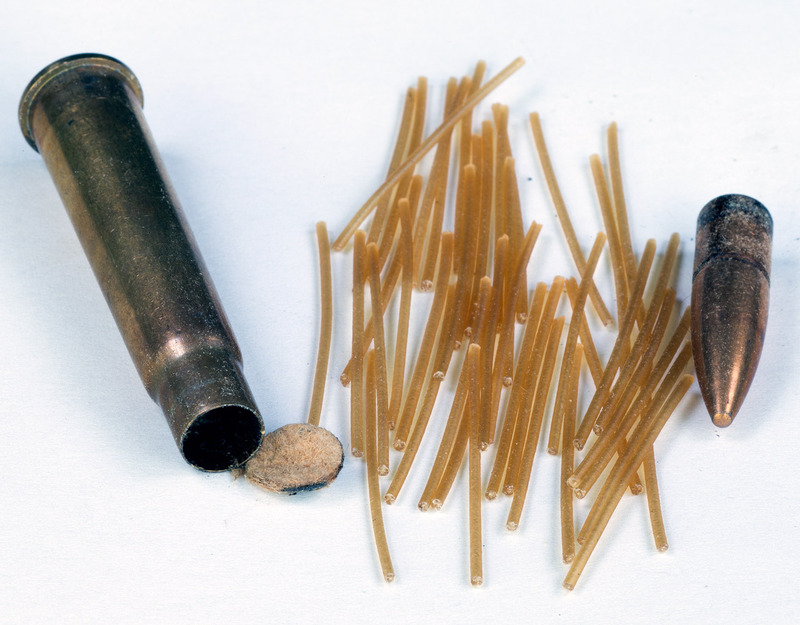 Cordite charge from a British military .303 cartridge, dated 1956. Cordite - An early form of smokeless powder, developed in England in the late 1880s, taking the physical form of little strings. Unlike black powder which preceded it, it burned a bit more slowly, enabling pressure to build in a barrel more evenly, increasing the duration of the motive force, increasing the efficiency propelling the projectile down the bore to higher velocities. And, it didn't generate nearly as much smoke---which hitherto both obscured the vision of the shooter while revealing his position to an adversary.